As a Florida native, growing up in Tampa with its multi-cultural roots, Barbara has watched Tampa grow from a small town to the bustling metropolis it is today. Her maternal grandparents immigrated from Santo De Stephano. Sicily at the turn of the century and quickly joined the growing immigrant community of Ybor City where the residents were of Spanish, Italian, Sicilian, and Cuban descent. While the melding of those cultures gave Tampa its unique flavor, it continues today......that beginning has expanded to include many other cultures that have joined the Tampa Bay mix. Barbara became a Realtor in 1986 after a career in retail with Federated stores. She has always had a love of people and houses. After a weekend of " just looking" at Open Houses, just for fun and trying analyze which was the best buy, her husband suggested she get her Real Estate license. Because of her interest in and her love of working with people, she did just that. She now finds herself moving into her 31st year of a career she loves. What she brings to clients is her knowledge and expertise in the market. Her clients know they can count on her to be their trusted advisor , with an honest appraisal of market conditions, home values, and trends, educating them on the different communities, and locations. Barbara is their guide in the often complicated process of buying and selling. Her customers can count on her to provided a commitment to proceed in their best interest, the experience that&apos;s achieved with years in the business and the successful performance that comes with a roll up your sleeve and make it happen work ethic. Barbara is a graduate of the University of Florida with a BA in 1970. She has achieved the prestigious CRS designation ( Certified Residential Specialist), SFR ( Short Sale Foreclosure Resource), and AWHD ( At home with Diversity). All are National Association of Realtors Designations. She also serves as 2017 District vice President for District 6 for Florida Realtors. District 6 is comprised of our 3 county area of Hillsborough, Pasco and Pinellas County. 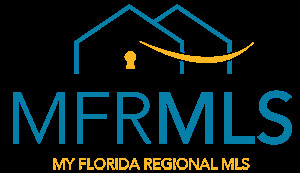 She is currently a Florida Director and serves on the Executive Committee of Florida Realtors. She was honored to be elected 2015 President of the Greater Tampa Realtors with over 8000+ members and the 4th largest board in Florida. She has served as an NAR Director from 2013-2016. She has sold hundreds of homes and over 100 million dollars in real estate in her career. She resides in Carrollwood in NW Hillsborough county with her husband John. They have 2 grown children and 3 Grandchildren. Barbara has listed & sold homes all over our tri-county area with a concentration in NW Hillsborough and Central & southwest and New Tampa.